Prime Minister, Dr. the Honourable Keith Rowley met today (May 10, 2017) with senior executives from Shell, who provided him with a progress report on a number of matters that were discussed on his trip to Houston last March. 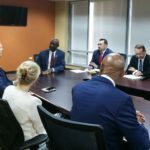 Minister of Energy and Energy Industries, Senator the Honourable Franklin Khan and Minister in the Office of the Prime Minister and Minister in the Office of the Attorney General and Legal Affairs, the Honourable Stuart Young were also present at the meeting. 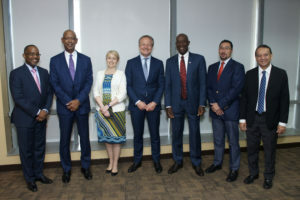 Representing Shell were Maarten Wetselaar Director Integrated Gas and New Energies, Derek Hudson Vice President Shell Trinidad and Tobago, Rachel Solway Executive Vice President Human Resources, Integrated Gas and Mark Regis Government Relations Advisor. Minister Khan provided favourable updates on a number of requests that were made by the energy company. 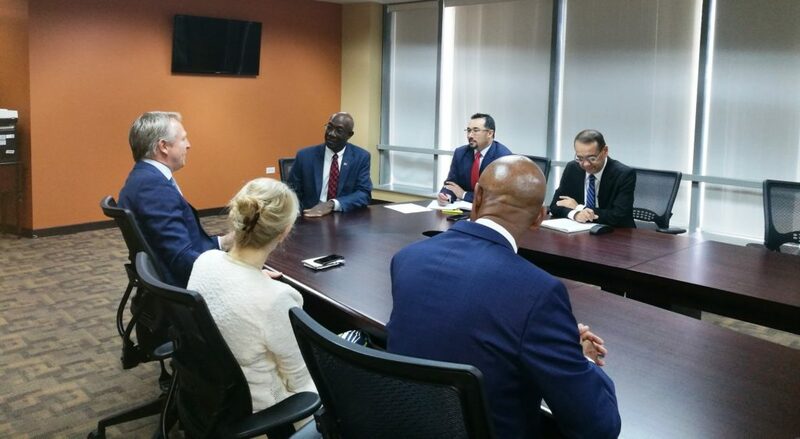 Prime Minister Rowley gave an assurance on his visit to Shell that the Government would do what is necessary within the laws of Trinidad and Tobago to provide accelerated approvals for the company’s work program. He said then that he expected they would deliver in the shortest time possible. In particular there were discussions on the progress of the Dragon Project in Venezuela. 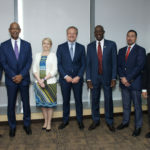 Shell is expected to build a 17 kilometre (10.6 mile) pipeline from Venezuela’s shallow-water Dragon gas field to its Hibiscus platform off the north coast of Trinidad. Shell has a long history of operation in Trinidad and Tobago. In 2016, the company re-entered the local market with its acquisition of the BG Group. The company intends to invest billions of dollars in Trinidad and Tobago over the next four years.